Chrichton's World: Review The Phantom of the Opera a.k.a. Il fantasma dell'opera (1998): It's nothing like the classic but it's fun as hell! Review The Phantom of the Opera a.k.a. Il fantasma dell'opera (1998): It's nothing like the classic but it's fun as hell! 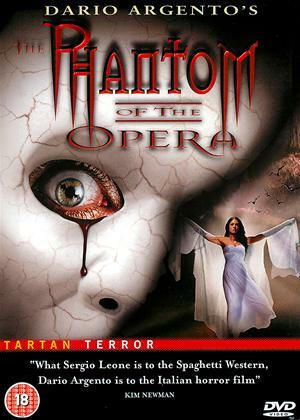 Dario Argento's take on The Phantom of the Opera certainly will be a required taste. It's vastly different from the original story but in such a way that it does become something you just have to see for yourself. I don't think this was intended as a serious film but if so then I really would like to know how and then we really would have to question the sanity of the people involved. There is no way you could take any of this seriously ever! On the DVD there is an interview with Julian Sands who plays The Phantom and the way he describes it like the whole project was a serious affair. He talked about the psychology of his character and the love between him and Christine Daaé (Asia Argento). I can't find any clip or interview where he states what he thinks of the film now. I can't imagine that he still would agree on this. If so then I really would like to talk to him about it. Especially after some truly bizarre and perhaps unintentionally comedic scenes he is featured in. One of the scenes involves him and his beloved rats who he sees as his brothers. Why? When The Phantom was abandoned as a baby a pack of rats save him and then apparently raise him. How this was possible is just one of the many mysteries the film presents to you, Another one is that if he was a baby and never came into contact with people how it is possible for him to speak English and especially as articulate as he did? Let's say he picked up a few words here and there when exploring he should have spoken French since this story is situated in Paris after all. But am I to believe that someone who has not been in contact with people and surrounded by rats can speak like he does? You may have guessed it but it's better for your viewing experience not to get worked up about these things too much since it is expected of you to simply accept them. One other bizarre element is the fact that The Phantom and Christine have a bond and connection so strong that they can telepathically communicate with each other. It's never explained but it's so ludicrous and funny that I went along with it. Combine that with Asia's bad acting and you have a real winner on your hands. Asia Argento is a mystery too. She can be a very good actress. But in here it does look like she has been given the instruction by her father to go over the top. It's also hilarious to see her produce singing sounds that don't match with her voice at all. She also can't seem to make up her mind about The Phantom although that can be explained due to his love for his brothers (the rats). Some women just are so biased about these cuddly and severely misunderstood creatures. From what I have seen it came across like Dario Argento was trying to parody this period of time and specifically the people who lived in this time. None of the people really deserve our sympathy as they all have their own reprehensible and despicable traits. The poor, the rich and everyone in the middle don't come out as well as they could or should. One example of this are these old men who keep giving little girls candy. It is highly implied they are pedofiles and their intentions are quite evil. But their behaviour is accepted since apparently the people have no problems with this practice at all. However through The Phantom some of these people do get what they deserve. In very gory and graphic detail. The Phantom of the Opera doesn't spare you when it comes to blood and violence. Shame then that Argento mocks The Phantom as well. He already changed The Phantom from the original as he is not disfigured physically. A case could be made that he is psychologically. In any case The Phantom is looney tunes and apart from his tendency to kill he probably is the most moral character in the film. The Phantom of the Opera is bad. But so bad it's good. I am not a big fan of period pieces unless they have real compelling elements to them. And say what you want about this film it's highly fascinating and super enjoyable. 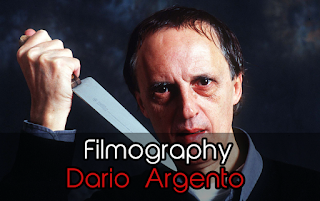 Fans of Argento have branded this one as his worst. I don't agree with this assessment at all. 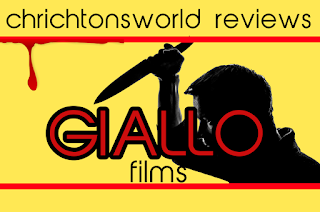 That honour goes to Giallo. So do watch this one.